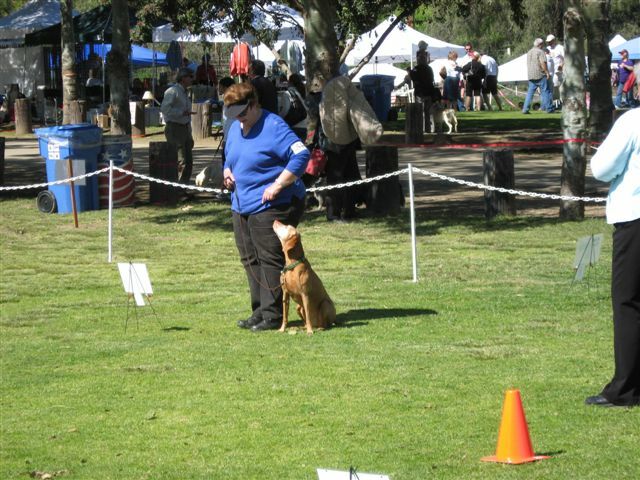 Offering Basic & Advanced dog obedience classes at Apollo Park in Downey, the Downey Dog Obedience Group has been "training you to train your dog" for over 50 years. FLASH - The American Kennel Club (AKC) allows mixed breed dogs to compete in Obedience, Agility & Rally. So what does that mean to you? That means that you have a show dog!!! All dogs are now welcome to the world of AKC dogs shows - go to www.akc.org and check it out. Whether you want a well behaved pet or a show dog - the place to start training is with us - Basic and Competition classes are available, plus a great group of owners who like to do things with their dogs! We are a non-profit, community-based club made up of obedience enthusiasts and dog lovers who have a wealth of accumulated knowledge. Contact us for more information on our classes and our club! Copyright 2010 Downey Dog Obedience Group, Inc.. All rights reserved.